Barbados is often spared the worst effects of the region's tropical storms and hurricanes during the rainy season. Barbados is so popular due to the fact is has over 3000 hours of sunshine every year. Its climate is warm all year round with an average high daytime temperature of 30 degrees. The northeast wind blows across the island gently, which means it is not unbearably hot despite the high temperatures. The dry season is January to June, but the rain generally comes in short sharp bursts which is refreshing. The weather can change quickly, and in June to October tropical rainstorms and sometimes hurricanes (quite rare) hit the island. Any surface water drains away quickly due to the porous nature of the island and the underground lakes. Barbados is often spared the worst effects of the region’s tropical storms and hurricanes during the rainy season. Its location in the south-east of the Caribbean region puts the country just outside the principal hurricane strike zone. Just 21 miles long, Barbados is a good size. The East coast is especially magical with its traditional chattel houses and fresh wind from the Atlantic. In terms of health at present there is concern over the Zika virus, and so you are advised to keep up to date and consult with a doctor before travel. There are lots of activities for the whole family. Direct access from the UK and Canada allows for easy transfers and wonderful climate for outdoor adventures. The roads can be busy and sea turbulent on the refreshing East coast but other than that we think its an amazing spot to come with your family. Most visits are trouble free, but visitors are advised to be alert to drinks being spiked and risk of sexual assault, and also to protect themselves from appearing an easy target to muggers. The currency of Barbados is the Barbadian Dollar. The island has a great quality of life rating and the sugar industry has since diversified so the island is no longer dependent on a single commodity. Foreign exchange is the second largest source of income after tourism. After independence Barbados did very well economically, but since the 1980s growth stagnated and the country experienced a recession in the 1990s. Since then with the help of the IMF Barbados has recovered, thanks to its small and open economy and its flexibility to diversify but with another recession in 2008 and 2009 the economy has stagnated once more. There are 19 embassies in Barbados including the Australian, British, and American embassies. The island sits within the Eastern Caribbean time zone and so is five hours ahead of London, twelve hours ahead of Hong Kong, three hours behind LA, and in the same time zone as New York. With a windy East coast and calm, flat West coast the island offers a wide range of activities both in and out of the water. Barbados is famed for its beautiful, beaches, it even has one for every day of the year. In terms of activities, this is a good place to start. As well as surfing, snorkelling, stand up paddle boarding and swimming you may want to consider taking a boat tour, windsurfing, or kitesurfing on the East coast. Bathsheba Beach (Bathsheba), Dover Beach (St. Lawrence Gap), and Rockley Beach (Hastings) are the top three beaches to visit during your stay. Other top tourist activities include Hunte’s Gardens, Carlisle Bay, St. Nicholas Abbey, South Coast Boardwalk, Harrison’s Cave, Animal Flower Cave, and Mount Gay Visitor Centre – home of the rum. Be sure to drag yourself away from the beach to explore the beautiful landscape inland too – horse riding is also a great way to get around, see the rural villages and listen to local stories. The first indigenous peoples to arrive came from Venezuela and it is thought the first settles landed around 1600 BC. Barbados is the eastern most Caribbean island and was created by the collision of the Atlantic crustal and Caribbean plates thus making it geographically unique. The first indigenous peoples to arrive came from Venezuela and it is thought the first settles landed around 1600 BC. This first tribe were conquered by the Caribs (where the name Caribbean comes from). The Portuguese also went to Barbados on their way to Brazil, this was just before British Colonisation between 1625 and 1644. After this period Barbados was entered into barbaric slavery and was used to farm sugar, tobacco and cotton. Slavery was finally abolished in 1834 and a period of emancipation ensued finally leading to independence in 1961. Due to their colonial history and connection to the United Kingdom, even after independence, it is sometimes referred to as Little England. West African and British cultures dominate Barbados and this can be seen in their traditions. The Tuk band is a collection brightly dressed musicians playing drums and whistles bringing the famous sounds of the Caribbean to life. These are a mixture of African and British folk sounds. The Barbados Landship is also a staple part of Bajan culture and can be traced back to the 1800s. It is a theatrical group which performs dances relating to the passage of ships during the slavery years. Costumes and rhythms are enthralling. There are also a number of festivals across the year which are great displays of Bajan tradition and vibrancy. Their trouble filled, colourful history really has made the Bajan people who they are today. Larger than life, they are a vibrant engaging people who have a real love for life. Bajan’s love to have fun, but also have a casual calm about them. As a culture they are spiritual and religious, and with it very forgiving and generous. They do not discriminate and are very welcoming to all people from right around the globe. Sports are also a big part of Bajan culture with a strong cricketing tradition which also leads back to the 1800s. Road Tennis and Dominos are also popular sports which hark back to the days of British occupation. Barbados prides itself on its culinary skills and the unique flavours which are of English, Indian, and African origin. Bajan food is an eclectic mix of the old and new. 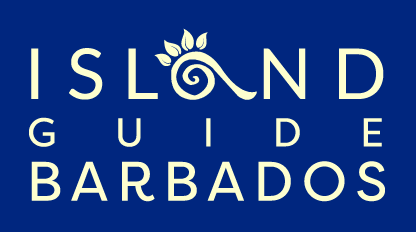 Barbados prides itself on its culinary skills and the unique flavours which are of English, Indian, and African origin. Everything is fresh and locally produced which means the tastes are especially exquisite. The flag food of Barbados is the flying fish and cou-cou. Cou cou is a mixed combination of cornmeal and okra with salt pepper and the infamous Bajan hot sauce. Other fresh seafood on offer include the Salt Fish, King Fish, Tuna, Red Snapper, Salmon, and Mackerel as well as crustaceans such as shrimp, lobster, and crab. The Bajans also love their meat and you will find pork and chicken on offer as well as the local black belly sheep. In terms of vegetables, the local varieties include, cassava, okra, scotch bonnet peppers, onions, sweet potatoes, breadfruit, eddoes, and spinach. The island is small, so you just have to see it all. The island is small, so you just have to see it all. The bus is a great way to see the island, and cheap too at $2 a ride. The buses have designated routes and so it is quite easy to figure out where to go. Taxi’s are also reasonable. There are the more comfortable air conditioned tour busses too – but these aren’t the most authentic way to travel and will give you the tourists view of the island. Renting a bike is the best way to get around as you get to appreciate nature and the culture as you move around. You can rent bikes daily or weekly and there are a number of providers on the island. You can also book a ‘island safari’ 4×4 tour which will help get to some of the more remote areas. Barbados is especially easy to get to from the UK and Canada with frequent flights. A flight from London to Barbados (Bridgetown) is around 9 hours and you can get a direct return flight for around the same price as a one stop flight. In June you can expect to pay between £500 and £600, in August a direct flight is about twice the price of a stopover flight at around £1,100. October the flights return to around £600, January around £400 and April £600. New York (JFK) to Barbados only costs around £200 – £350 all year round for a direct return flight and will take between four and five hours. Los Angeles LAX to Barbados takes around nine hours. The year round average price is between £400 and £500. Hong Kong to Barbados will take you around 30 hours. There are a few flights with one stop over in Toronto Canada, but two or three stop offs is more common. Prices vary between £1100 and £1600 throughout the year. Google flights provide good averages for journeys when doing your own research prior to booking.